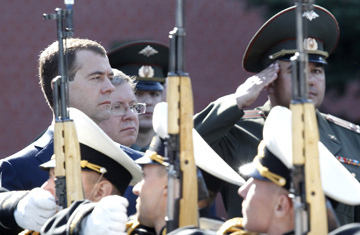 Is the Russian Army Bullying Its Soldiers to Death? Oksana Berelyuk says her fiancé was whispering the last time they spoke. Days earlier, her betrothed, 19-year-old army recruit Roman Suslov, had shipped out in good spirits from the western Siberian city of Omsk. But his family was troubled by a series of text messages and frantic phone calls they received from him during the four-day train journey to the Far East town of Bikin, where he was to begin his mandatory year of military service. Suslov claimed his superiors were bullying him and denying him food, water and cigarettes. On May 22, he called Berelyuk and told her that a lieutenant and a warrant officer were threatening him. "He was scared someone would hear him talking," Berelyuk tells TIME. "He told me, 'They'll either kill me or cut me.' Then he hung up." The next day, Suslov's mother received a call from the unit's command. Her son, she was told, had hanged himself with a belt in one of the train's bathrooms. Investigators have classified Suslov's death as a suicide, placing him among the scores of Russian servicemen who kill themselves in any given year. Many of these soldiers, relatives and rights activists say, are driven to suicide by a pernicious tradition of brutal hazing in the Russian military known as dedovshchina  a banned but widespread practice that includes the physical and psychological abuse of recruits by older officers. Soldiers' rights advocates also believe some of those suicides aren't suicides at all. They see something more sinister in Suslov's death and maintain that his senior officers may have beaten him to death during a savage hazing session and then staged his suicide. The tactic, they allege, is a common way to cover up conscripts' violent deaths at the hands of fellow servicemen. According to the latest figures released by the Russian Defense Ministry, a total of 149 Russian servicemen committed suicide from January to November last year. The figures suggest a decline from previous years, which saw more than 200 suicides annually. But Veronika Marchenko, head of A Mother's Right, a Moscow-based NGO, estimates that the majority of these deaths are directly related to brutality in the ranks. "One-third are cases where people are driven to suicide, while one-third are criminal acts disguised as suicides," says Marchenko, whose organization handles thousands of complaints from families of Russian soldiers who died during their service. Suslov's purported suicide is just the latest case to spark national soul-searching over the plight of Russian conscripts. His death echoes the alleged suicide of conscript Alexander Mazhuga in June 2009. Like Suslov, Mazhuga, a 21-year-old recruit from the Siberian city of Kurgan, was sent by train to basic training near the Russian-Chinese border. And like Suslov, he hanged himself in a carriage bathroom before he made it to boot camp, investigators said. Medics managed to revive Mazhuga, but he died later in a hospital. Mazhuga's parents say he had been badly beaten before his reported suicide attempt, and while he was still on life support they made a video at his bedside in which they allege he was the victim of a fatal assault. According to excerpts from the official autopsy published by A Mother's Right, military doctors said bruises on Mazhuga's forehead and cheekbone were likely caused by a blunt object, possibly a hard surface in the train's bathroom, and that he had clearly died from the hanging. But medical experts commissioned by A Mother's Right to conduct an independent examination said they found numerous other bruises and injuries consistent with an assault with a blunt object and that the nature of the soldier's head and neck injuries excluded the possibility that he had hanged himself. Mazhuga's mother Tatyana refuses to believe the results of the official autopsy and says her son was not a suicide candidate. "He wasn't exactly excited about going to the army, but he wasn't scared," she tells TIME in a telephone interview. "He said, 'Why should I try to avoid the army? In Russia, everyone tries to dodge the draft. I'm going to volunteer.' "
See pictures of Russian police breaking up an anti-Kremlin rally.